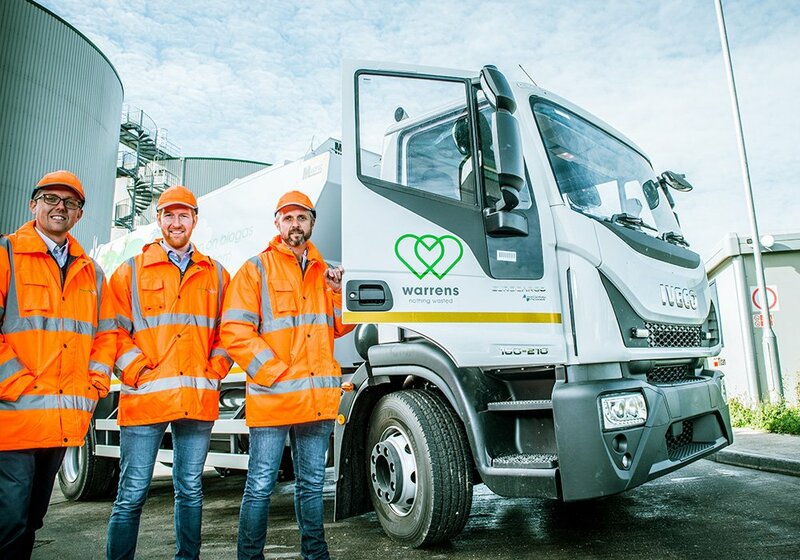 Warrens Group and Emerald Biogas first approached us to help with their marketing communications; with the key challenge of bringing the two companies together as one. 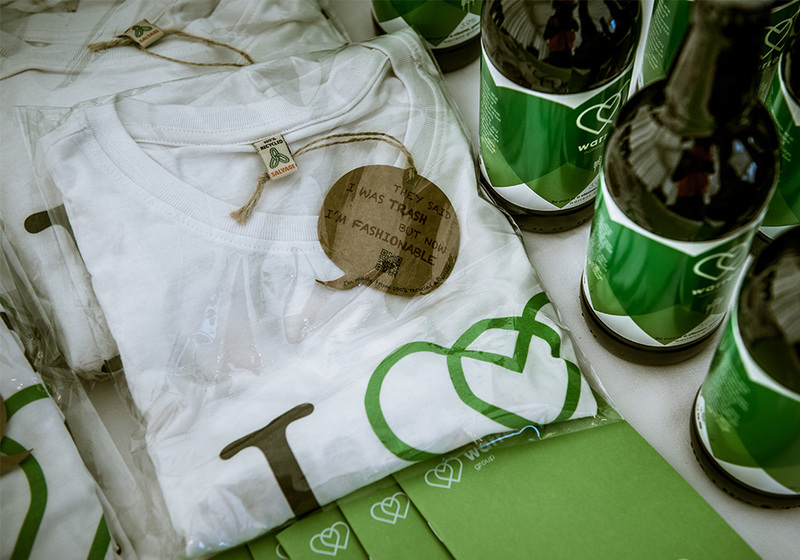 The innovative waste recycling business had an exciting story to tell but didn’t know how to say it. In order to fully understand, define and implement the company’s message, we needed to identify, clarify and position the brand. An Internal audit was undertaken to define Warrens brand values which in turn shaped our proposal for the company’s rebrand. 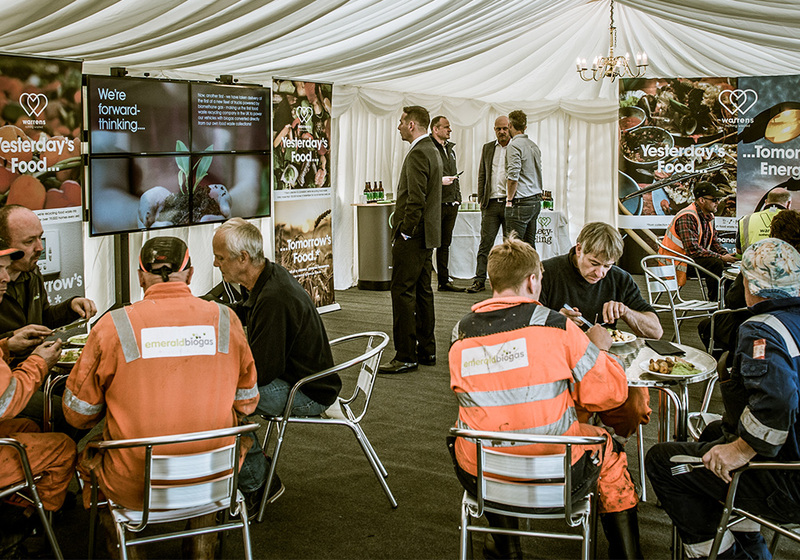 Months of auditing and profiling, interviewing all staff from both sides of the business, culminated in an internal brand launch event on 1st Oct.
Staff were invited from both the Warrens Group and Emerald Biogas sites to the fully catered on-site event. We developed a presentation with a corresponding staff handbook outlining Warrens Group’s newly-defined brand values, to educate the staff on what Warrens Group believes in and to unveil the new brand. 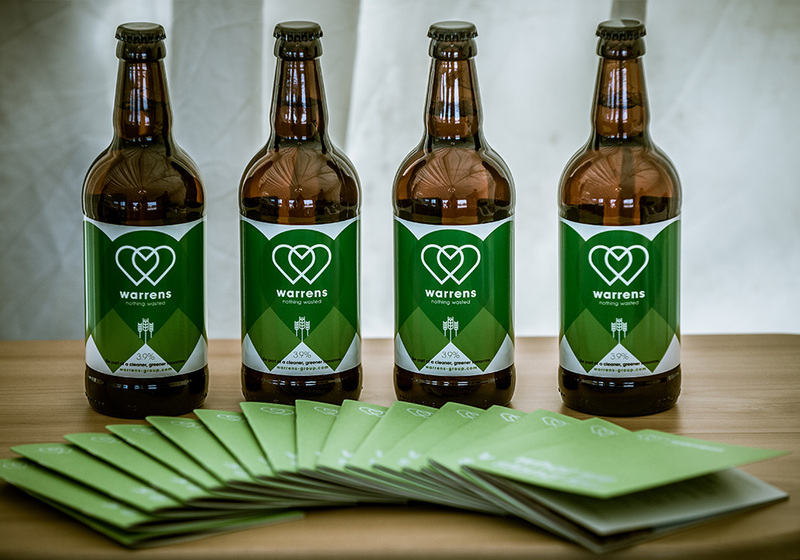 With food provided and branded giveaways (including bottles of Warrens Group’s very own ‘Emerald Ale’! ), the event was a roaring success. The event was also used to launch the company’s very first HGV truck in the UK to run on biofuel, which we had branded up prior to the event in advance of the big unveiling.